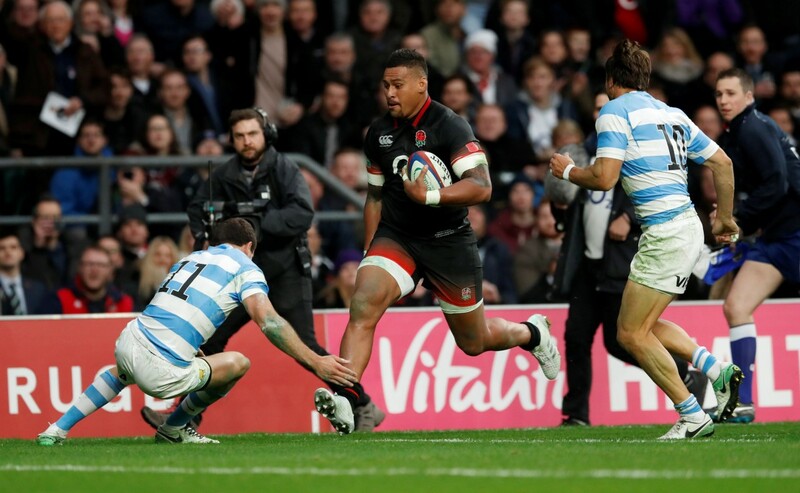 England got their November international series off to a victorious but hardly glorious start when they forced their way past Argentina 21-8 at Twickenham in a stuttering game with barely any flowing rugby. So England, with 19 wins out of 20 under Eddie Jones, expected a straightforward win to warm up for next week's perceived stiffer challenge against Australia. The stop-start nature of the game continued in the second half, with precious little to lift the crowd with no addition to the scoreboard as the clocked ticked past the hour and Jones was seen smashing his desk in frustration. Slade’s long pass eventually sent Rokoduguni over in the corner and the crowd settled back for the traditional late surge. However, unlike in many of their games in the Rugby Championship, Argentina did not fade and instead enjoyed their longest period of sustained pressure, which was rewarded when Sanchez nipped over in the corner.